WLTP (Worldwide Harmonized Light Vehicles Test Procedure) and IFRS 16 (International Financial Reporting Standards) were two of the biggest fleet issues of 2018 and this year fleet mobility and powertrain policy will be near the top of a list of fleet managers’ concerns. 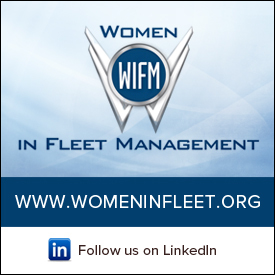 So says Dr. Jörg Löffler, Chief Executive Officer at Europe-based fleet management specialist, Fleet Logistics. In a wide-reaching review of the state of the international fleet arena, Dr Löffler said that one of the biggest issues in recent months had been the introduction of the new WLTP regime. Because vehicle manufacturers had not been completely prepared in many cases for the level of vehicle testing and filing required to meet the new standard, fleet customers had not been able to order the cars they wanted for certain periods of the year, he said. “This led to a state of limbo in the new car market lasting several months when new models simply had not been available. This caused uncertainty in the market and many customers put their fleet ordering on hold until new models became available again,” said Dr Löffler. The new testing regime had also caused concern among fleet customers over its impact on their car polices and the problem of determining which models now fitted within the policy that had been set. “A car that was previously 120g/km under the old system suddenly became 140g’km under the new WLTP test and no longer fitted within the car policy. It left many customers questioning what they should do in terms of revising their fleet policies to incorporate the many changes that resulted,” said Dr Löffler. Although the situation was now easing with more OEMs making more models available, he felt it would be several months before the issue was satisfactorily resolved. Another key issue was the introduction of IFRS16, the new accounting standard covering leased cars which actually came into effect from January 1st this year. Although well sign-posted, some finance departments seemed to have underestimated the effort required for the introduction of the new standard, said Dr Löffler, as the amount of work required to report to the new standard is much higher than originally thought. “For companies that report to international accounting standards, IFRS16 means that they now have to disclose leased cars on their balance sheet, based on a mix of leasing rentals and the depreciation of the assets. “They also have to show the interest rates used in financing the assets. The changes impact on the profit and loss account as well as the balance sheet, and some finance departments have not prepared properly to meet the new requirements,” he said. Dr Löffler felt the new standard had the potential to change the way some fleets acquired their vehicles in the future. “Several fleet operators have said to me that, because they now have to show leased vehicles on the balance sheet, it may be smarter to revert to buying them, using some form of bank financing and employing service providers to underwrite the residual values. “There could be a gradual change, in my view, with some operators watching what the early adopters do, and then following suit, which could lead to a structural change in the fleet market,” he said. Prior to the Fleet Europe Congress in Barcelona in November last year, Fleet Logistics held the inaugural meeting of its new innovation board, comprising six international fleet customers and two prospects. The aim of the meeting was to identify and discuss, through a series of presentations and workshops, the key fleet issues that were likely to impact on the market in 2019. The format worked very well and Fleet Logistics plans to repeat it in Estoril in Portugal later this year. Top the list was fleet mobility and how many corporations were looking at introducing mobility packages to better meet the transport needs of their employees. However, the meeting identified that one size does not fit all and any mobility package required careful tailoring to the different types of working environments. “In urban or metropolitan working environments, there is a lot of demand for different mobility packages using the wide range of transport methods that are available. Often these are from service companies employing numbers of young professionals who are well used to using different means of public transport. “However, in rural working environments the demand for different forms of mobility may not be so great as many employees may feel that the traditional company car perfectly meets their requirements. “We expect to see more corporations introducing pilot schemes, not across the whole enterprise perhaps, but in different countries or in different divisions to test how effective they are in meeting employees’ needs,” said Dr Löffler. Fleet Logistics will be looking at the introduction of a number of mobility schemes during 2019, working with carefully selected partners, he added. Typically, powertrain policy also featured in the discussion among international fleet operators, especially with regard to the introduction of electric vehicles and hybrids to fleet policies. Dr Löffler said that while EVs might be appropriate for those employees who did mainly urban driving, they may not be so suitable to those who travelled largely on motorways or highways. “The use of alternative powertrains should also be taken into consideration when evaluating the corporate carbon footprint. For production or manufacturing companies, the fleet carbon footprint might not be so important in the context of their overall carbon production. But for service companies that don’t produce anything, the carbon footprint of the fleet assumes much greater significance,” he said. Dr Löffler said that taxation legislation was also playing an increasing role in determining powertrain policy. “For example, in Germany we have seen, from January 1, the introduction of a new scheme of Benefit-in-Kind Tax based on one percent of the value of conventional engined cars but only 0.5 percent of the value of electric or hybrid vehicles. Dr Löffler added:”Getting the right mix of powertrains, including assessments of hybrids and electric vehicles, so that they exactly meet the needs of employees and the type of driving that they do will be a priority for many fleet managers this year.